Registration is a must by calling 71 134 042. "The conference will shed the light on the legal framework put in place in Lebanon to solve commercial (or civil) disputes in a cost-effective way while keeping control on the process and the settlement and protecting your business interests including business relationships. 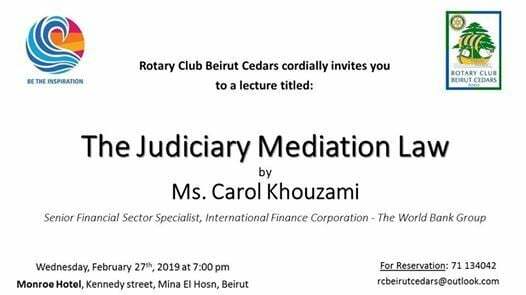 It will explain the difference between mediation and conciliation, the benefits of mediation and walk you through the full commercial mediation reform undertook by the Government of Lebanon with IFC/WBG assistance since 2011. 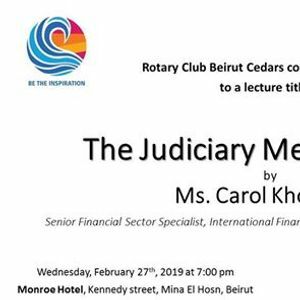 Last, it will highlight the main features of the court-referred mediation mechanism introduced by the judiciary mediation law enacted in October 2018 and how the law puts in place safeguards to preserve the quality of the mediation process."